Firstly, we want to thank all of you who have sent us positive messages in response to our first blog post. Suddenly, two weeks have flown by and it is time to send out another Artlife +. This week we are highlighting the artistic question: How do we rekindle our youthful openness to all things creative – encouraging all activities that bring us ‘Moments of Transition’? Born in south London to a boxing promoter and a dressmaker, Sylvia Anderson first studied Economics with a degree in Political Science and Sociology. She spent several years in the US and worked as a journalist before returning home to the UK to join a TV production company, where she met her creative partner and husband, Gerry. 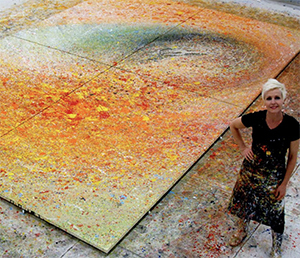 How did Anderson become the Creative spirit she was? How did she develop such a pioneering show with vision as The THUNDERBIRDS? Originally conceived for children, yet recognized and loved as a unique show ahead of it’s time, The Thunderbirds succeeded in drawing a wide audience. 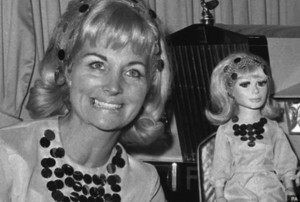 Sylvia pioneered the combination of a science-fiction theme with puppets and later a technique using electric marionette puppets called ‘Supermarionation’. The voices were recorded first, and when the puppets were filmed, the electric signal from the dialogue was hooked up to sensors in the puppets heads. This allowed the puppets’ lips to move in perfect sync with the soundtrack. The THUNDERBIRD series was first aired in 1965 in the UK and is still running on multi-national TV networks globally. Anderson is recognised as one of the first really prominent women in the film & TV industry. Together with her husband, she developed groundbreaking entertainment. Not only did she co-create and write the series, she also worked on character development and costume designs. Personally, the most exciting part of the show was the character of ‘Lady Penelope’, a glamorous secret agent with a classic aristocratic voice. It was not long ago that I discovered the much loved character of ‘Lady Penelope’ was visually modeled on Anderson’s appearance in real life and that she was also the person who created the voice over for that wonderful character. I consider myself lucky that my childhood was filled with so much of Anderson’s magic. Her significant creative contributions should inspire us all.